Cape Fair Aerie 4278, Ladies Auxiliary paid a visit to Hurley School on Wednesday, April 4, to present a check for the Elementary School Backpack program. The Backpack Program fills backpacks on Friday afternoon with enough food for the weekend and sends it home with the children where it is needed. Although the children get to eat breakfast and lunch at school, many of the children go to a home without enough food on weekends. The Fraternal Order of Eagles is a non-profit organization that holds fundraisers and benefits to help communities and families. Their motto is “People Helping People.” The Ladies Auxiliary held a fundraiser in March for the Backpack Program. 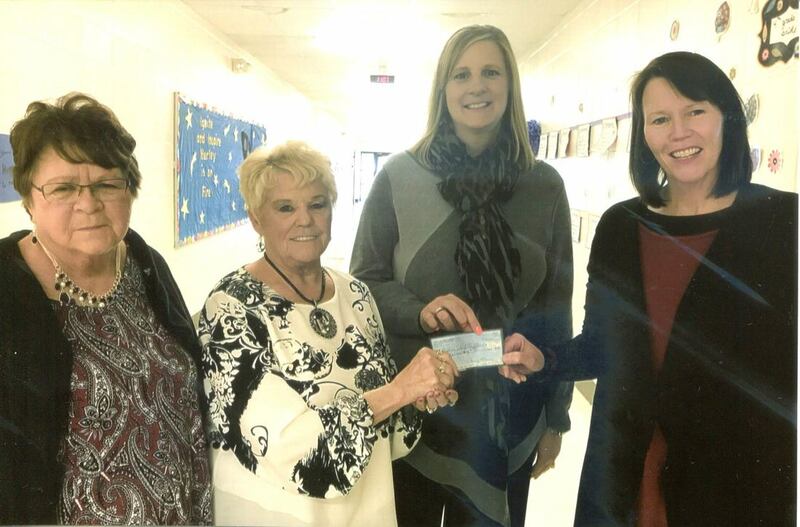 The $806 check was presented to Counselor Marsha Burton-High and Elementary Principal Michaela Wilson by Ladies Auxiliary President Linda Clark and Vice-President Loraine Batson.